On March 11, a devastating earthquake and tsunami rocked Japan. In its wake, the country's Northeast was ravaged. Buildings and lives were destroyed and lost. Photographer Satoru Niwa documented the days following the disaster in late March 2011. Some of the photos show the extent of the quake and ensuing tsunami's destruction. The resulting images, all shot on film, are sad, lonely, and depressing—they depict ghost towns. 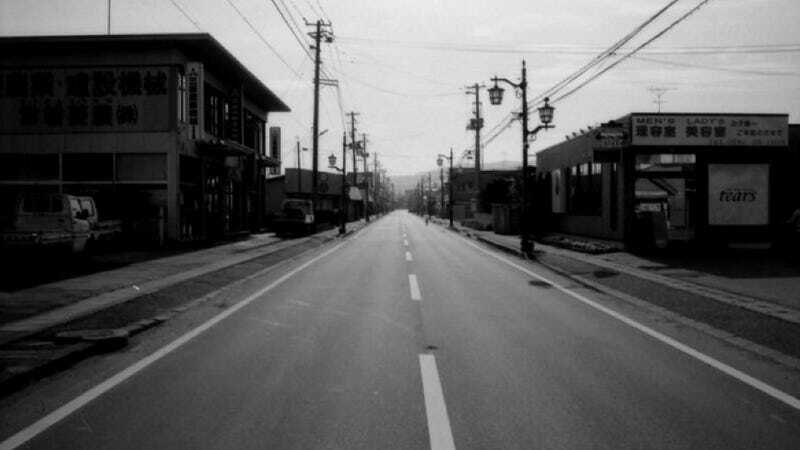 Besides empty streets, photos show gyms that were used as refuges until they were evacuated for being too close to the Fukushima nuclear reactors. There are empty chairs placed in a circle around a heater; cups left on tables; a wheelchair pushed against the wall. Only clean up workers and dogs inhabit this world. View more in the links below—be sure to click on the "Image Info" to learn more about each photo.